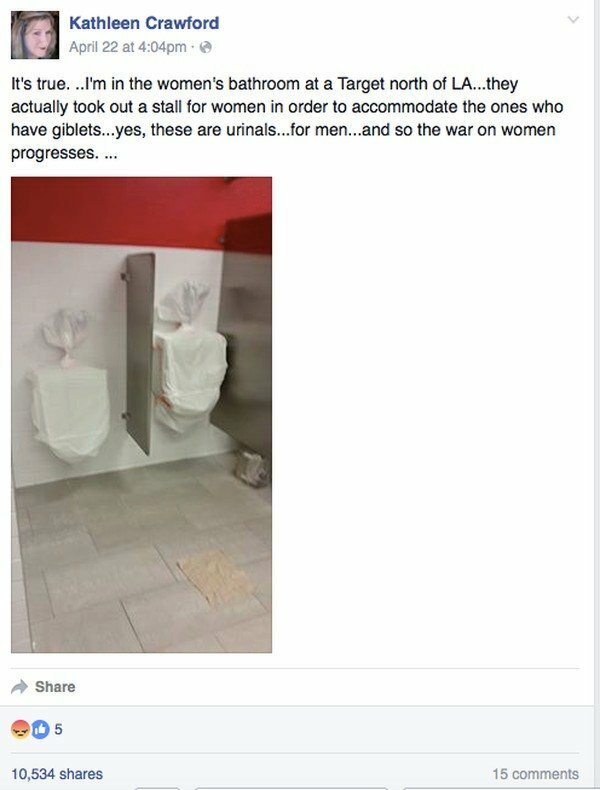 **BREAKING UPDATE** Target ALREADY Installing Urinals In Women’s Bathrooms- Customer Claims With THIS Proof! As if Target wasn’t already in enough hot water with the majority of Americans over the whole transgender bathroom thing, a new claim being made about urinals being installed in women’s restrooms to accommodate trans folk will certainly make things a whole lot worse. If it’s 100 percent true that is. If this is true, it’s quite disturbing and clearly showcases Target is totally dedicated to their stance on this controversial issue, no matter how uncomfortable it makes their customers. How sick and sad is our current culture that this stuff is becoming acceptable and celebrated? People don’t realize that freedom and liberty are only for a morally upright people. When perversion starts to become accepted in society, when bad is called good and good is called bad, freedom’s days are numbered. If you have already vowed not to shop at Target anymore, how does this make you feel?